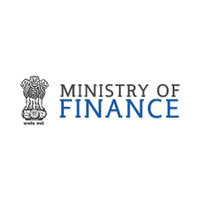 Ministry of Finance Recruitment 2018.Ministry of Finance has released a notification for the recruitment of Recovery Officer Vacancies.Check the eligiblity and notification prior to apply for the positions. 2. Desirable qualifications: Degree in law or having legal experience. 3.The period of deputation, including the period of deputation to another post held immediately preceding this appointment in the same or some other Organization or Department of the Central Government, shall ordinarily not exceed four years. Age: The maximum age limit for appointment on deputation shall be not exceeding fifty-six years as on the closing last date of receipt of application. Willing and eligible officers may submit their applications, duly filled in the prescribed proforma through proper channel only (i.e. their Cadre Controlling Authority) so as to reach the undersigned on or before 7th September, 2018. The applications received after the last date or received with incomplete documents or not received through proper channel will not be considered. The candidates applying for the post on deputation basis must be below 56 years of age on the last date for receipt of application i.e. on 7 th September, 2018.The selected candidates will be appointed on deputation basis for a period of four years, which may be curtailed or extended further in the interest of administrative exigencies. The pay and other terms and conditions of deputation will be governed by the Department of Personnel and Training Office Memorandum No. 6/8/2009-Estt. (Pay II) dated 17.06.2010, as amended from time to time.